Electric Motor that you need! request by Contacting Us or call 800-279-2267 for the electric motor that you need. We'll get you the information you need to make the right choice, at the right price. RS Electric Motors is linked to LEESON motor company on-line for fast delivery of standard and special motors to LEESON customers. Original equipment manufacturers and distributors like RS Electric Motors represent LEESON's primary market segments. Equipment manufacturers build a diverse range of products using LEESON electric motors standard and special motors as their prime power. LEESON motors can be found on material handling equipment, pumps, fans and blowers, machine tools, power transmission products, agricultural applications, treadmills, food processing equipment, data processing, medical, textile, packaging, graphic arts, woodworking, and a host of other industrial and commercial products. In fact, LEESON motors supplies electric motors to over 35 different basic industries. The types of motors are even more diverse. In the past, many customers were content to buy fairly standard products. In today's competitive world, many of these same customers require motors tailored to their specific products with as much value added by LEESON as possible. This includes special paints, shafts, castings, cords and plugs, special electrical characteristics and other custom features. LEESON's success today, as in the early years, continues to be our response to customer needs and wants. RS Electric Motors is the industrial motor company you can rely on for DC and AC motors, drives, and pumps. 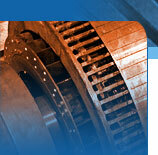 Service and repair of Leeson Electric Motors is also available. Get the information you need to make the right choice, at the right price.